We recently introduced our Essential Breads & Spreads to our Madison and Wallingford cafés as part of our Spring 2012 menu. After trying out a new menu, we sometimes find ourselves making tweaks and alterations. In the spirit of making things even better, we decided to transform the Moroccan Eggplant Relish & Feta into something a little different. 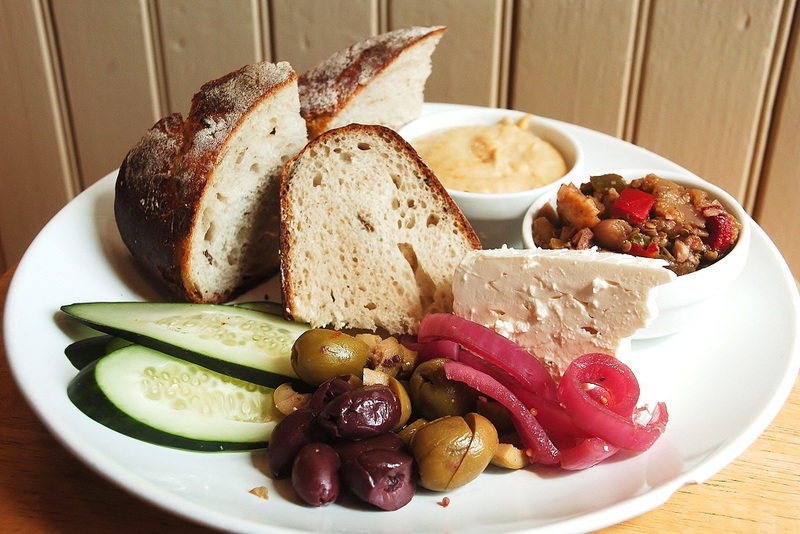 Introducing The Mezze Platter, which includes our house-made baba ganoush, eggplant, extra virgin olive oil and bell peppers, hummus, a generous portion of feta, an assortment of olives, pickled red onions and cucumber slices paired with our popular Rosemary bread. Other Breads & Spreads combinations include Walnut bread with hummus, olive tapenade and cucumber and Olive bread with prosciutto, asparagus and chèvre drizzled with honey. Visit our Madison and Wallingford cafés and try one of our new Essential Breads & Spreads and let us know what you think.